This is a novel about a translator who moves from London to Paris after the death of his first wife and then to Wales with his second wife, from where the novel is narrated, sometimes through the translator's imagination and sometimes via the guests invited to dinner parties in their cottage on the hills above Abergavenny. 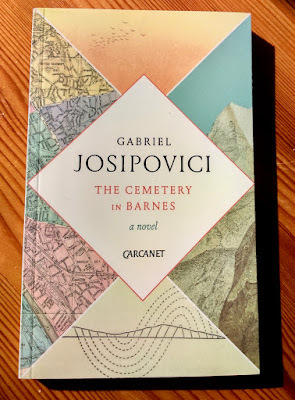 I admit that this doesn't sound like the most exciting premise for a novel, but I have read it three times in quick succession with increasing pleasure and relief (an odd word to use in a review perhaps), so let me try to explain why. The translator entertains friends with food, drink, music and stories and thoughts about his life and work, but he is often heckled by his wife, which leads to repartee especially enjoyed by the guests, fascinated by their relationship. Each monologue is framed by 'he would say' or 'he used to say', creating a subtle rhythm to and distance from his often uncanny and occasionally self-contradictory stories. They begin with a description of his solitary life in Paris. Perched in his attic flat, he would follow a strict routine of work and relaxation – no doubt in order to maintain his mental equilibrium after what happened to his first wife – the latter of which included walks around the city. But it is here his equilibrium is threatened: on the banks of the Seine he would often imagine himself sinking beneath the surface, noticing the horrified onlookers on the bridge above as he sinks slowly to the riverbed. He knew such feelings were neurotic, dangerous even, but he was not unduly worried, sensing that it was better to indulge them than to try and eliminate them altogether. After all, everyone has fantasies. In the one life there are many lives. Alternative lives. Some are lived and others imagined. That is the absurdity of biographies, he would say, of novels. They never take account of the alternative lives casting their shadows over us as we move slowly, as though in a dream, from birth to maturity to death. The walks were also an escape from the "tediousness and unreality" of the novels he had to translate, as was the music with which he would end each day. As he bathed, he listened to Monteverdi's Orfeo, which he chose because the composer "did not pause and repeat for emphasis but let his music, like life itself, flow on". Immersing his entire body in hot water and steam closed the distance between Orfeo's lament for Eurydice in the underworld and his own loss, while also allowing his life to flow on in a non-fatal alternative to drowning. Closing such distances is a translator's day job of course, except for this one it extends beyond words. He felt at times as if he did not understand her at all. She was there and yet she was not there. He held her and yet he did not hold her. As they walked, hand in hand, he sometimes felt as if he was walking with a stranger. In a perverse move, which he reports without apology or apparent embarrassment, he would often hang back at the station and follow her as she walked home alone. Later, he does the same to a woman he meets in a café and invites on a date. The creepiness is disconcerting, but we should remember the reader is also one step behind the translator on these spying missions, watching and judging his every move from the safety of an armchair. We are there and not there also, seeking answers in the shadow of other lives. A road went through Putney Heath just beyond the cemetery and what seemed to be municipal tennis courts had at some point been laid close to it. As one crept through the trees, parting the undergrowth to see what lay beneath, one could hear the smack of ball against racket and hear the cheerful shouts of the players. That was the world of the living. The novel then is this oscillation between life and the shadow of other lives, never meeting yet never apart, and to read The Cemetery in Barnes is to find an unfamiliar peace in the pedular motion between one and the other, so distinct from those tedious and unreal novels that march relentlessly from set-up to resolution, and to which one can return again and again with relief. 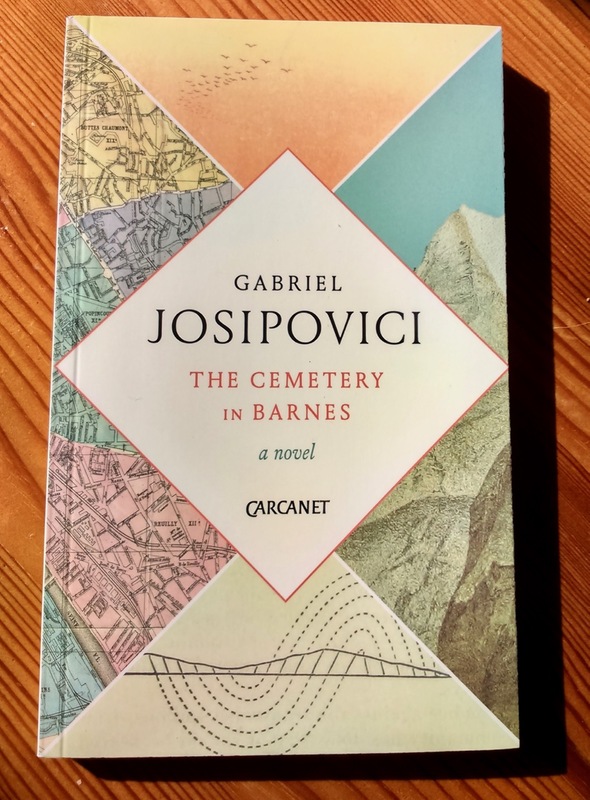 The Cemetery in Barnes is dedicated to the memory of Bernard Hoepffner, the French translator of many English-language authors, including Joyce, Will Self, Martin Amis, Gilbert Sorrentino and Gabriel Josipovici himself, who drowned in mysterious circumstances off the Welsh coast in 2017. Many readers might assume this novel is therefore a tribute to a friend in the form of a fictionalised biography. What is uncanny here is that the novel is based on the short story Steps about the same unnamed translator, in which Paris, Wales and fantasies of drowning all feature, that was first published in 1981. You can find it in the collection Heart's Wings from 2010.